Disclaimer: As always, this translation is entirely my own work, so any mistakes and awkward turns of phrases are mine (although I would very much appreciate it if anyone who spots a problem leaves me a comment so that I can correct it). – How do you feel, looking back on the production of A/Z? Nagano: That’s true… To tell the truth, we’ve had several conversations about this, about how it would have been better if we’d done something a bit lighter, something a little more relaxed (chuckles). From my position as the person responsible for sorting out who and what we need (i.e. the line producer), there were a lot of materials that we needed to prepare because it was an original work. Furthermore, none of us–Aoki and myself included–knew much about 3DCG. So we were rather stressed out right from the start. out SHIROBAKO to see just how much work goes into shows like this. were developed are also pretty interesting. Aoki: Mecha series really do require a mountain of preparatory materials. In our case, we had lots of characters and a large variety of different Kataphracktoi as well. Add to that the spaceships and landing castles, and the Lunar Base…there were loads of setting materials that we had to create for our version of the world. All of the robots were done in 3DCG, but this was the first time that I’ve been involved in a production that used such techniques. So, at first, I believed that “Even though we’ve got so many robots, it’ll be fine because they’ll all be done in CG!” Quite a delusion, that was (chuckles). Nagano: Since I was completely new to this, I thought that once the modelling has been done in 3DCG, all you’d need to do is insert that into the scenes, so it’d be easier than drawing by hand… Of course, the reality turned out to be quite something else. Aoki: For the 3DCG, we asked A1-Pictures and other people outside TROYCA for their help. If all that the scenes required was for close-ups of the Kataphracktoi, then we certainly could have left it all to them. But the battle scenes take place against various backdrops, so our background artists needed to draw those buildings and mountains according to the ‘passlines’ (= lines of perspective) laid on top of the CG. Furthermore, effects such as explosions and details such as the fragments from destroyed Kataphracktoi all need to be dealt with during our animation production process. But who would do that, and how? At first, we had no idea how much work that would be, so it was quite chaotic in the studio, but as time went on and the episodes came to fruition, we slowly got the hang of it. – What did you feel was the most difficult thing during production? Aoki: Since it was a completely original work, as the director, I was really worried. When it’s based on some other work, you can just refer to that whenever you’re stumped. But when you’re creating an original work, it’s like you’re going out into the open ocean without a map or even a compass. Given the multitude of paths that the story can take, you feel a lot of pressure having your hand on the rudder, steering the vessel in the direction that you think is best. Nagano: And it’s not like you can just do whatever you want: you need to feel your way down the best path with the limited funds at your call. Aoki: The amount of funding limited the number of Katophraktoi that we could create, and so it was also a waste to have them just appear in one episode, just to be taken down. So we needed to build a story where we could make the most of them. To put it another way, “cost-effectiveness” was something that we had to keep in mind as we went about making this series. Is that one of the reasons Argyle and Hellas were two-episode fights? – And after all this time you’ve spent in production, what do you feel are the fruits of your labour? Nagano: There’s a saying that “Trouble is worth your while even if you have to by it,” and that’s precisely what it felt like. We ran into numerous challenges, but all of that went into the blood and bones of our staff at TROYCA. In particular, we got a lot from being so deeply involved in the 3DCG production process. 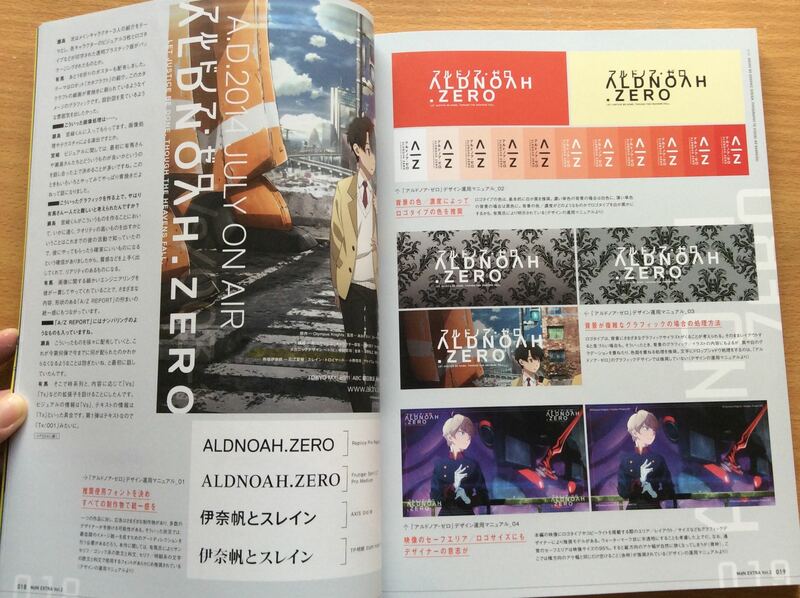 Aoki: TROYCA is still a very young company, but we’ve gained a lot of confidence from having made it through to the end with Aldnoah.Zero. It was a really high mountain, but I’m really glad that we managed to climb it. – Out of all the paths you could have taken, could you tell us how you came to this particular conclusion? Nagano: The idea that Asseylum would marry someone in order to bring about peace between Earth and Vers was in the original plot outline that Urobuchi came up with. 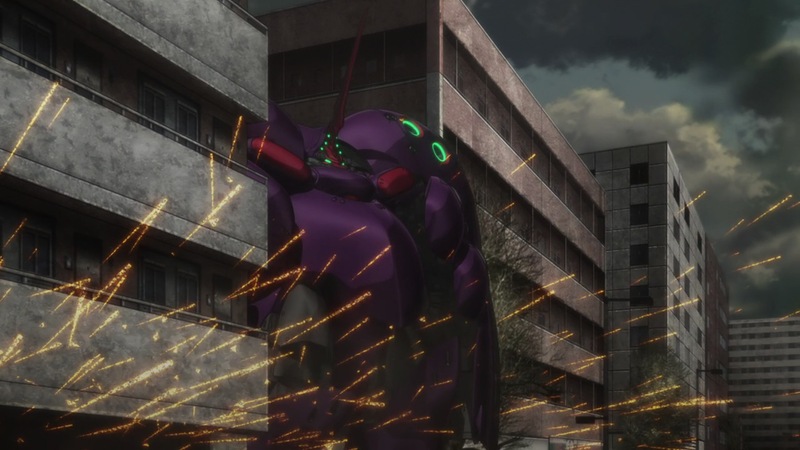 However, we didn’t really have a clear idea of what would happen to Inaho and Slaine at the very end. Aoki: The very first idea I came up with was that Inaho would become isolated from those around him because of his one-minded drive to save Asseylum, whilst Slaine would similarly isolate himself in his obsessive quest for power. Denied by the world that surrounds them, the two would fight their final battle and fall to Earth, where they’d live, hidden away in some quiet little corner… But because that conclusion was too dark for a TV series, it turned into something with just a little more salvation in it. – That Asseylum married Klancain was really surprising. Aoki: Urobuchi’s plot presented this image of Asseylum placing her duty as Empress first, sealing her own personal feelings away and marrying a Vers Knight in order to be able to call on both sides to end the war. When I first read that, I was really taken in by her. Hence, right from the start, we worked on crafting the story towards her making that decision. Aoki: What was important wasn’t so much which character Asseylum married, but rather that she made the decision to marry an Orbital Knight with the political power to back her call for peace. Hence, our original plan saw her marrying one of the middle-aged male knights. We also considered having her marry Mazuurek. However, it would have been strange for her to marry some old bloke that showed up at the end just for that, and whilst Mazuurek is a good person, his position amongst the Knights means that he simply doesn’t have the kind of authority we’re talking about. That’s where someone proposed the idea of “Cruhteo’s son” being the person she marries. 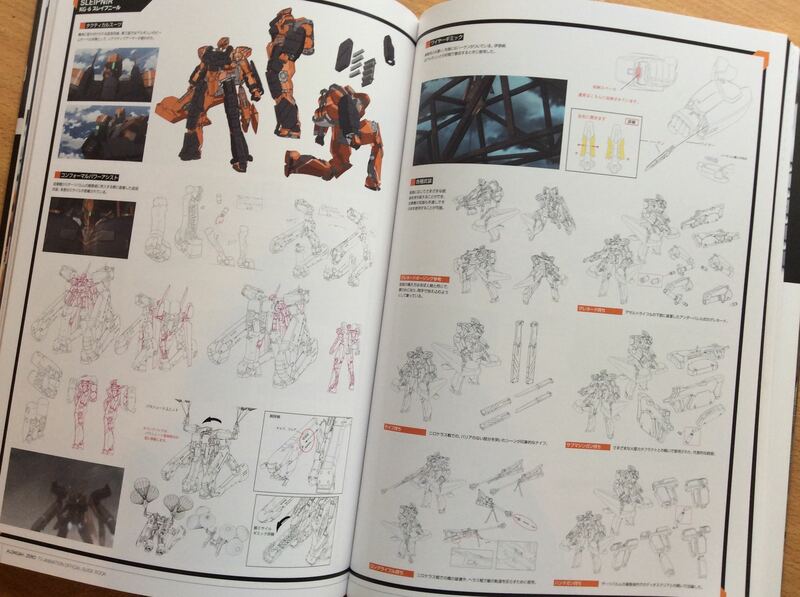 Nagano: Within the Orbital Knights, Cruhteo’s standing was about the same as Saazbaum’s. On top of that, since Slaine had formerly served him, and had ‘inherited’ the Tharsis, you could say that they had a fateful connection, too. Aoki: That said, at first, you really pushed the ‘romantic love ending’ where Asseylum would end up with the person she loved. Nagano: Since this story was more or less very thin on ‘romance’, I thought that it wouldn’t hurt to do that (chuckles). But if we’d gone with it, then the one that didn’t end up with her would have met an really unrewarding end. – In the end, how did Inaho and Slaine feel about Asseylum? Aoki: In Inaho’s case, the analytical engine in his fake eye said that “he misidentifies her as part of himself.” But I doubt that Inaho himself would be able to express in words how he feels about Asseylum. 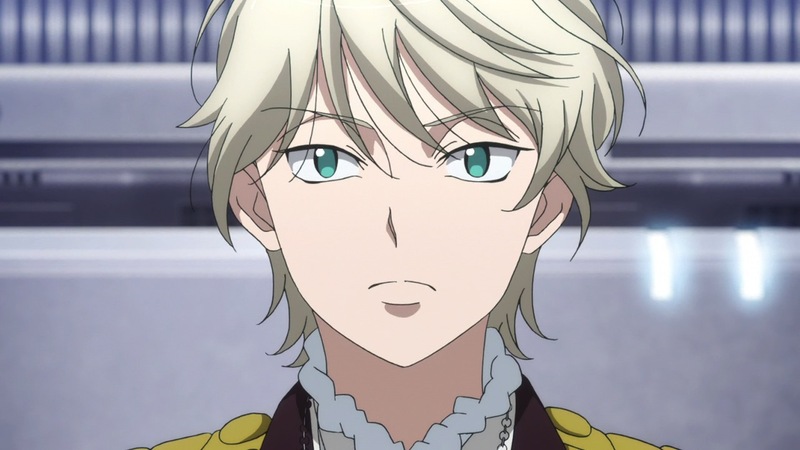 Slaine, too, has strong feelings for her, a mix of (romantic) love, respect, yearning and esteem. Basically, she’s someone that he treasures. 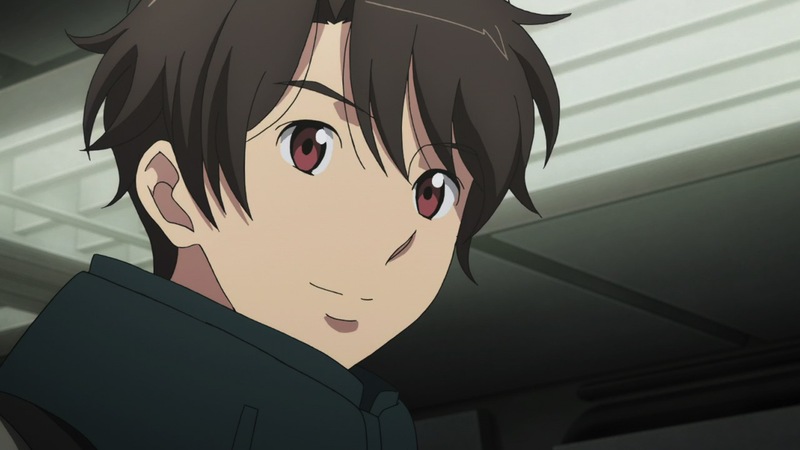 That said, I’d be happy if viewers decide for themselves how Inaho and Slaine think and feel. In the end, Lemrina was the only character who clearly stated her feelings. – What happened to the rest of the Orbital Knights after that battle? Aoki: Some of the knights accepted Asseylum’s declaration and have started along the path of coexistence with Earth. But I’d say that there are others who refuse to go along with her intentions and will resist to the bitter end. By-and-large, the war between Earth and Vers is over, and various governments are in the process of establishing peaceful and friendly relations. However, there are a few regions where conflict is still ongoing. In the first place, whilst the Vers Knights followed the Emperor’s direction, they are aristocrats possessing a certain degree of autonomy, so there’d be a few who would want to keep the lands that they’ve claimed. Hence, the fighting isn’t completely over yet. Nagano: The trade between Earth and Mars has Vers providing Aldnoah technology in return for the resources that they need, so it’s of equal value to both. At the very least, the life of people on Mars will improve from what it has been up to this point. – What benefits does Earth get from obtaining access to Aldnoah? 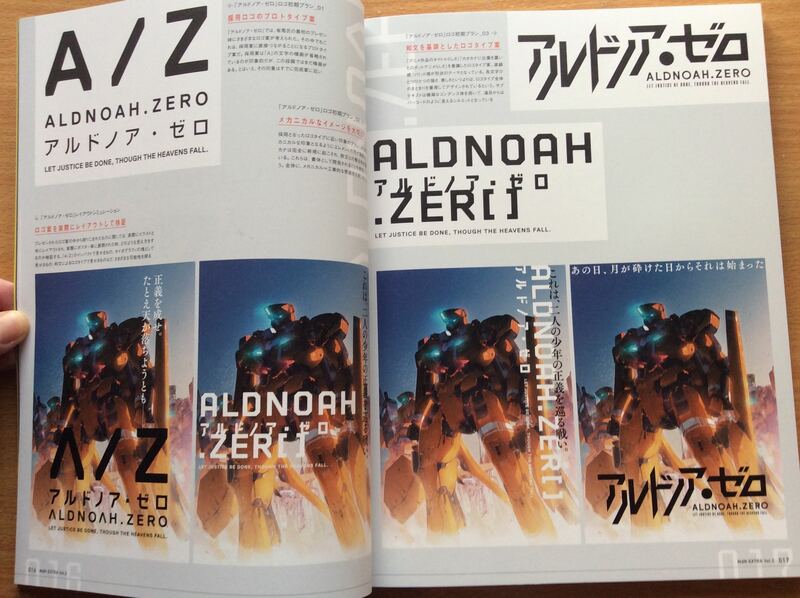 Aoki: You can basically think of Aldnoah as ‘a great source of energy’. If its power is distributed widely enough, then the energy problems that Earth has should see some positive developments. 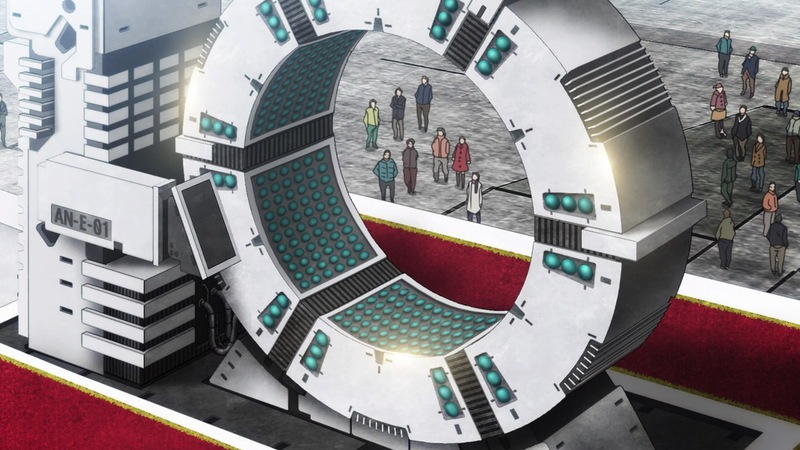 Aldnoah Reactor 01: will this lead to the end of ‘resource wars’? – I see. By the way, for a show about an interplanetary war, relatively few of the main characters died. That was rather unexpected. Aoki: Well, as their creators, we do have a lot of emotional attachment to them. As we developed the story, we also began to feel that we didn’t want to kill anyone just for the sake of killing them (lit: if it had no meaning). It’s one thing if a character’s death has real significance within the story, but I don’t think it’s good to just cut off a young life in the bud. Nagano: For example, the death of his friend Okojō was what cemented Inaho’s determination to step up himself and fight. Then we had Cruhteo’s death, which meant that Tharsis would come into Slaine’s hands. And finally, it was through Saazbaum’s death that Slaine obtained a large amount of political power. These three deaths are the ones that you can say, with certainty, had meaning. – Across all 24 episodes, which of the battles has left the deepest impact on you? Nagano: Whilst working on that episode, we even held an emergency meeting about what we should do from here on, right? At least we can look back on it fondly now. – The different abilities that the Vers Kataphraktoi had were also memorable. Aoki: At first, we just went with stuff from the classics, like barriers and beam sabres. But towards the end, there were some pretty unique Kats, huh? Like “let’s go with yo-yos this time!” (chuckles) Paying homage to classic mecha series was one of the things that made this fun for us creators. Nagano: There was a plan for one with teleportation abilities too, but we ended up not using it. 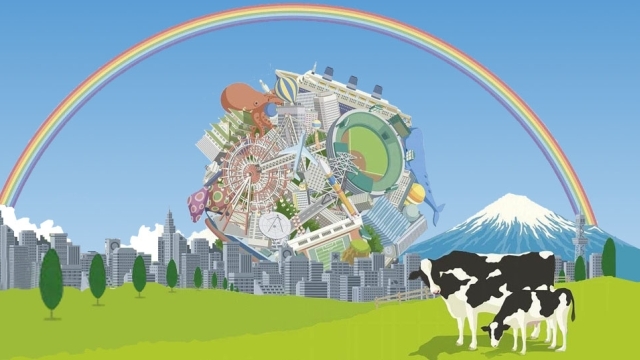 Takayama Katsuhiko, who was responsible for Series Composition, also wanted to go with one that would expand in size by absorbing things from the surroundings, as in the game Katamari Damacy. He really held onto that idea. But making that happen with CG would have been really difficult, so we had to shelve it. Aoki: In the end, that idea became Ortygia’s replication ability. We felt that this would give us the better chance of success. What you can end up with in Katamari Damacy…! – Finally, do you have a parting message for the fans? Nagano: We were only able to make it all the way to the end because of all of you fans, who kept giving us your feedback. 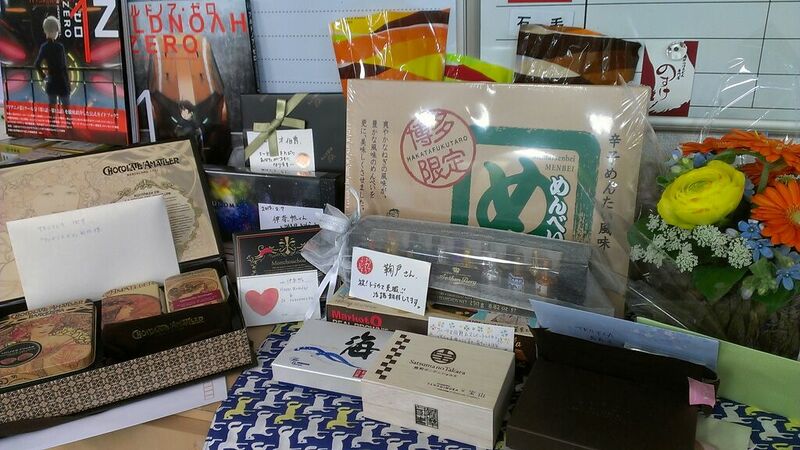 For example, recently, we were really motivated by all the Valentine chocolate you sent to the characters. The largest bounty went to Inaho, followed by Slaine, and Cruhteo and Marito also received some. We’ve received a whole lot of messages from you, our audience, and no matter what the content of those messages were, we’re really grateful that we got such a big response to this show. Aoki: This really is a show that was possible because there were people supporting us. I don’t really believe in the adage of “where there’s a will, there’s a way,” but all of your voices really helped prop us up even as we fought right down to the very last minute. 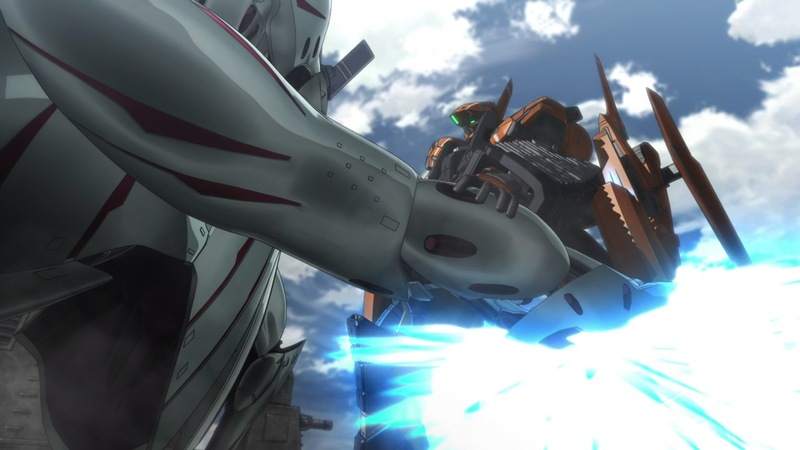 So thank you very much for watching Aldnoah.Zero all the way through to the end. Personally, I really like the character arcs we got. 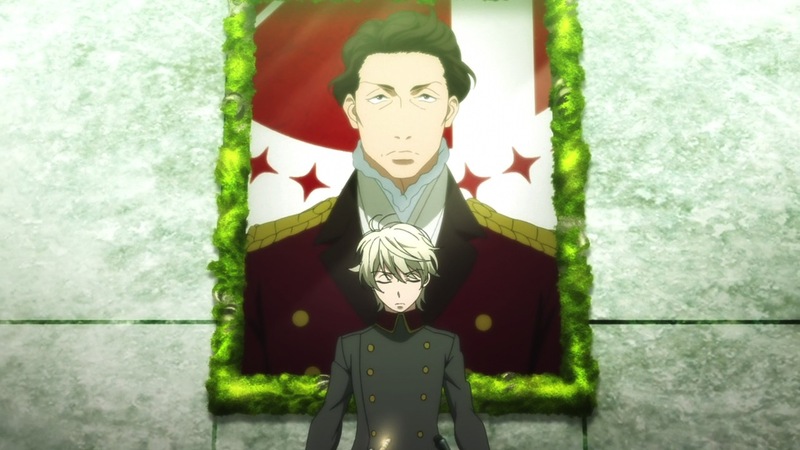 I’ll leave aside Inaho for the moment (there’s another interview where Aoki summarises what his character arc actually was, and it’d be interesting to see if any Western AZ viewers actually picked up on it), but to be honest, I think that the original idea for Slaine would have made me dislike him. Why? Well, the original character differs from the one we got by two key points. First, he wasn’t devoted to the princess, at least, not to the same extent; and second, his quest for power wasn’t about protecting someone else, but rather about revenge (and probably power for power’s sake). The vibe I’ve gotten from parts of the fandom suggests that many Slaine fans would love to have seen this character instead. However, those traits suggest to me a rather more ruthless character that may not really have cared for anyone else. By contrast, the character we got was someone who cared a lot, but chose to kill those feelings because he wanted to protect the one person he cared about the most. Personally, the main reason I feel for Slaine is that I understand why he felt he had to harden his heart; if he didn’t have those kind feelings that he had to kill, I wouldn’t have felt for him at all. Instead, he’d probably have been a villain that I’d have been happy to see dead. This is all also connected to why I think the ending we got holds the most promise for Slaine’s happiness in the future…but that’s an essay for another day. Well, this was enlightening. 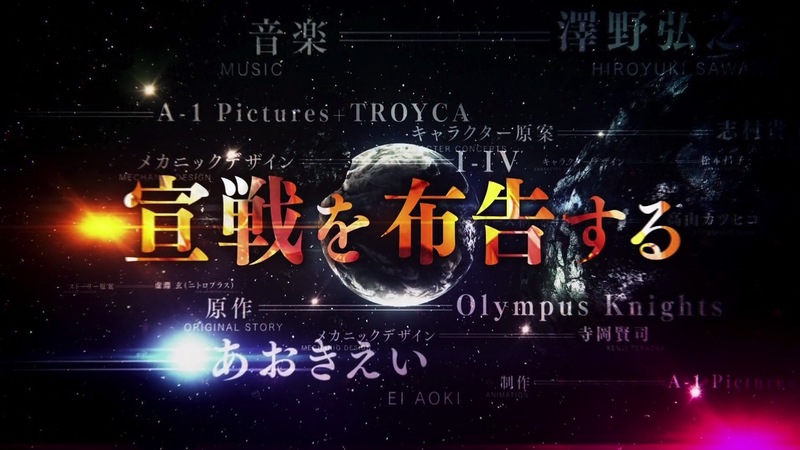 So the whole “Asseylum marrying an Orbital Knight” part was Urobuchi’s idea. I personally thought that was a great twist. 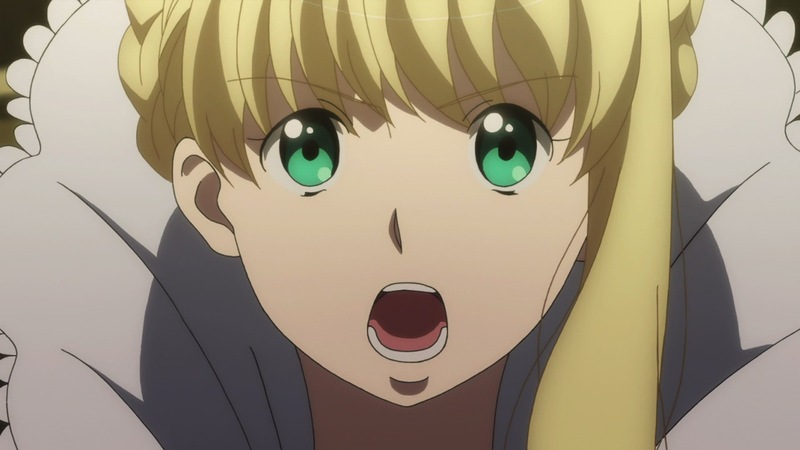 I also liked how Inaho and Slaine’s feelings for Asseylum were never actually brought up or resolved. It’s just really fascinating that, right to the very end, everyone put their personal feelings aside in the service of a compromise. It’s not the way stories usually work, especially not stories like these, but it’s probably the part of Aldnoah’s story that I’ll look back on most fondly. That’s what it sounds like. And agreed: that was one of the things I really liked about the series myself. Since I study politics and international relations, I read a lot about war, especially the civil wars that are often so seemingly intractable, and the only thing that works (besides complete subjugation, anyway) with some regularity is a willingness to talk to each other and compromise. Though even then, it usually takes years for the various sides to work anything out, over which time, the situation may lapse back into conflict. I appreciated how AZ tried to portray the path Asseylum sought as being the one that would bring about the best solution for all parties concerned, but I sense that that wasn’t the message or ending that most people wanted. Just wondering, what in particular about (Aoki’s explanation of) what happens after the ending do you think is implausible? Also, since you’re still willing to talk about AZ, can I ask you a couple of questions about several translations that have been bugging me ever since the show aired? Sorry for taking so long to get back to this comment! When I first watched the series I was dissatisfied because the negotiation process between Earth and Vers was not shown at all, so the development of a peace treaty came across as too sudden. As you said yourself, it usually takes years for the various sides to come to an agreement. 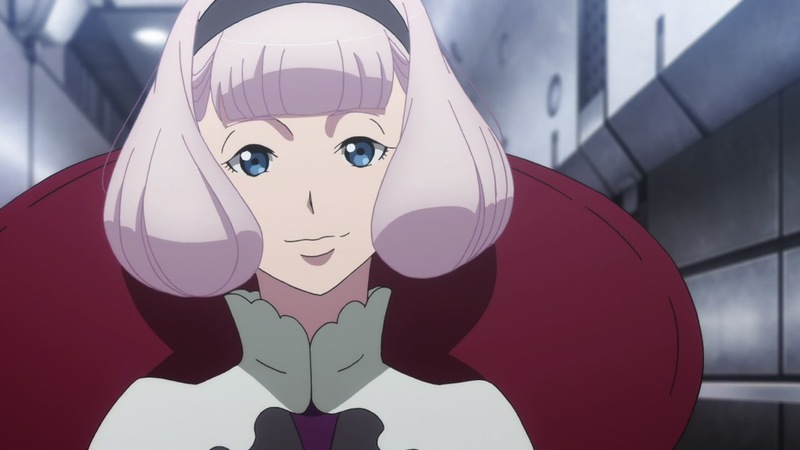 Even when you accept that Aldnoah is not going for strict realism in this instance, we didn’t see Asseylum negotiate with anyone from the Earth side onscreen. This development is even more puzzling when you take into account how the Earth government must have seen Asseylum. She starts off as a peace ambassador, seemingly dies but is discovered to be alive, at which point she changes her stance and becomes a vocal advocate for the war. Are the people of Earth really going to trust her after that? Especially after the Versians have essentially committed mass genocide in the course of this war? It’s clear that the casualties were much heavier on the Earth side. That’s not something the leader of Vers can simply apologise for. There would probably be a lot of international outcry against Vers and a desire to dismantle the empire altogether. But there is no indication that anyone is advocating for this, even in Aoki’s explanation of what happens after the ending. Basically, what I’m objecting to is how the outcome that suited the interests of both parties happened so smoothly, even though the conflict was unequal from the very beginning. I can accept that negotiations happened offscreen, but it still somewhat undermines the story’s message of “negotiation as a key to peace”. can I ask you a couple of questions about several translations that have been bugging me ever since the show aired? There was arguably room for doubt about the ‘Asseylum’ that appeared in those broadcasts. Extra episode 4 (BD 7) revealed that Lemrina formally took her place in February, two months after the S1 final battle. I assume that enough of the UFE brass would have been told about the holograph technology to have doubt, even if they decided that whether she was real or not didn’t matter, as the real power-holders amongst the Orbital Knights were bent on war and conquest. As for Earth’s citizens, in-universe material (Tx/025) distributed at various Japanese stores last year suggests that they were informed of how Darzana and her crew protected her until that final battle in Russia, and suggests doubt over how much she has recovered from her injuries and thus how much she actually is involved in Vers political decision making. I assume that the narrative disseminated in the post-war period would have been trying to ‘set the record straight’. International outcry and people demanding dismantling of the Vers Empire? To be honest, I think most people would just want to get on with ‘living’, rather than to keep losing young lives in trying to completely destroy the Vers Empire, which, in any case, is mostly on a planet they can’t reach in the first place. Of course, no apology can ever suffice; however, continuing the war would just mean more destruction and loss of life on Earth. Even if they might be able to destroy the Orbital Knights just by continuing to throw troops at them, I honestly don’t think even the UFE brass would turn down an offer to negotiate, especially if it did net them Aldnoah in a controllable and understandable form. Personally, rather than “negotiation as a key to peace,” I’d argue that the message was that ‘what’s needed is contact between the two sides’ (as I argued in my series review). Negotiation is but the start of that, so I don’t think that skipping straight to a scene that signifies the beginning of what will hopefully be a long and mutually beneficial relationship necessarily undermined the message. Of course, that’s just my take on it. I do understand the dissatisfaction with how ‘it all seemed too easy’. Episode 24.5 (from the Extra Day event) did reveal that even six months later, Asseylum is really busy trying to negotiate with the remaining ‘renegade’ knights–she’s so busy that she can only send her present to Eddelrittuo, rather than being able to meet in person. So it’s not easy…but this wasn’t clearly depicted in the show itself. Apologies for the TL;DR! I’ve spent waaay too much time thinking about this show! I actually found a tonne of questionable lines (AZ was the main series this past year where the CR translation drove me crazy), but there are three in particular that I wanted to ask you about. Anyway, thanks for the detailed response! What you cite from the supplementary material does put the story into perspective, but at the same time I also think that a story should be able to stand alone. If I couldn’t accept the logic of certain events from watching the original series carefully (and I have seen it several times by now) then it is worth criticising how the story was presented. But I think I can both agree with you that the main issue with the ending is not “this doesn’t make sense at all!” and more like “this happened too fast!” So it was more of a pacing issue than anything else, really. Now then, onto the translations! I had seen some commentary in the A/Z community about line 3), which is plainly an incorrect translation and makes Slaine sound more sinister than he really is. My personal interpretation of the line is that he sees Asseylum as equally important but separate to his goals, hence the word “傍ら”. As for the other two lines… I’ll start with 2) since I can see there’s also an inaccuracy there. When he says “憎むすべて” he’s not referring to people who hate, but more like everything he hates, or everything that is worth hating. The translation makes Saazbaum makes it sound like he has a more altruistic motive for what he says, but he’s really motivated by anger and a feeling of being personally wronged. The latter interpretation matches how the scene plays out, because he’s acting out with irrational anger and trying to defeat Inaho. Later on, he shoots Asseylum, and she’s definitely not a “person who hates”. Saazbaum knows this, because he listened to her speech asking for peace, and judging by his expression at the time, he knew that she was ultimately more right than he was. I think I remember some English-speaking fans calling out the so-called hypocrisy of Saazbaum at the time, because the idea that he would “defeat all those who hate” while wallowing in hate himself seemed out-of-character for him. Of all the things Saazbaum was, a self-righteous hypocrite isn’t one of them. He acts out according to his own sense of justice, knowing that it isn’t necessarily “just”. 1) is more ambiguous, and without any context I would probably have translated it similarly… I had to go rewatch episode 11 to get a better idea of what was happening, with the Crunchyroll subs. So, in context, it’s clear that the people of Vers haven’t literally “turned against” the princess. What she’s talking about is that they have become “enemies” (敵). By being the princess of Vers, she has helped motivate the people of Vers to act out in hatred. She has helped turned the situation into a black-and-white conflict, where both sides see each other as 敵. It is likely that she sees the Earth side the same way, but feels a particular weight of responsibility towards her own people. I went and read your post after typing the above paragraphs, and I have to say that I disagree that these translations were a main reason why the English-speaking and Japanese-speaking fandoms diverged. It seems to me that the Japanese fans were exposed to more promotional and supplementary material, so they probably got a fuller picture of the story beforehand. A few translation errors would not have made much difference, because English-speaking fans were probably interpreting the context of the scenes differently as well. Thank you, no worries, and apologies for my own delayed reply m(_ _ )m!! (I have no excuse: I’ve just been playing Starcraft 2.) I was actually wondering if I’d written too much, and I think I will leave out what I found out about ‘civil war vs. interstate war’ that I looked up last time. 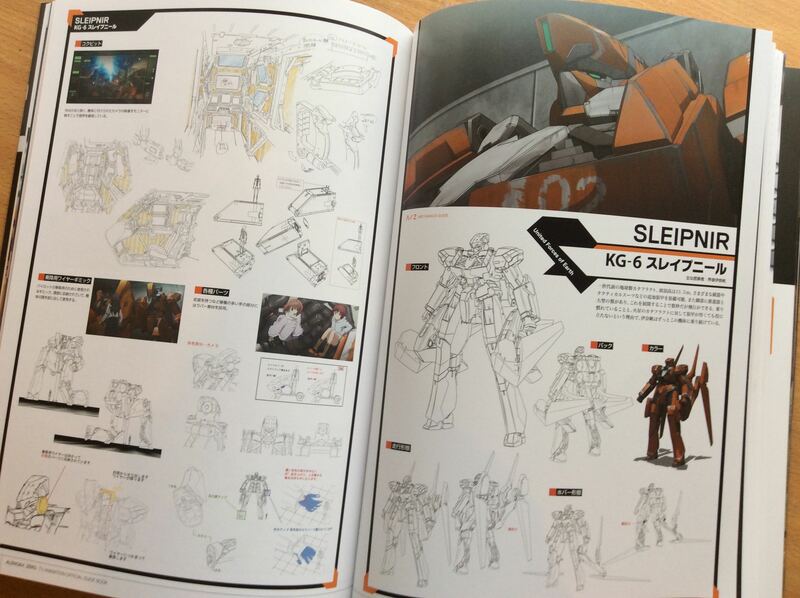 I’ll probably cover them sometime over the next year anyway, as I work my way through ‘the history of mecha anime’. I’m glad that you agree that (2) and (3) were clear mistakes. I did check out the English dub for S1, and the former was ‘corrected’ there. I still think that this was a pretty significant miss, however, because I find that the vast majority of people in the English-speaking fandom did not understand what Slaine was trying to do in S2, and I think that this line of Saaz’s is key to understanding it. But for some of the other things, such what Asseylum’s character storyline was, I generally agree with you that different interpretations of the context were far more significant in the differences that seemed to emerge between the English and Japanese fandoms. I’ll go into this a bit more below. This next bit got rather long, so you don’t have to respond to it if you don’t want to. But if you could address just that last translation issue I had, I’d be really grateful! Hm…I understand what you (and loads of other viewers) say about ‘what’s important for a story should be covered in the show/text itself. I guess that where I differ from many people in the ACG fandom is what I take from ‘extra materials’. Personally, I see a lot of promotional and supplementary material as merely pointing to one particular interpretation of a show as opposed to another. For example, what extra episode 4 and the in-universe magazine revealed was that (1) there was a gap between ‘the assassination’ => ‘Novostal’sk’ (S1 seems to have taken place over about 1 month, max) and ‘Asseylum reappearing’ and that (2) there was speculation on the Earth side about what had happened to Asseylum. 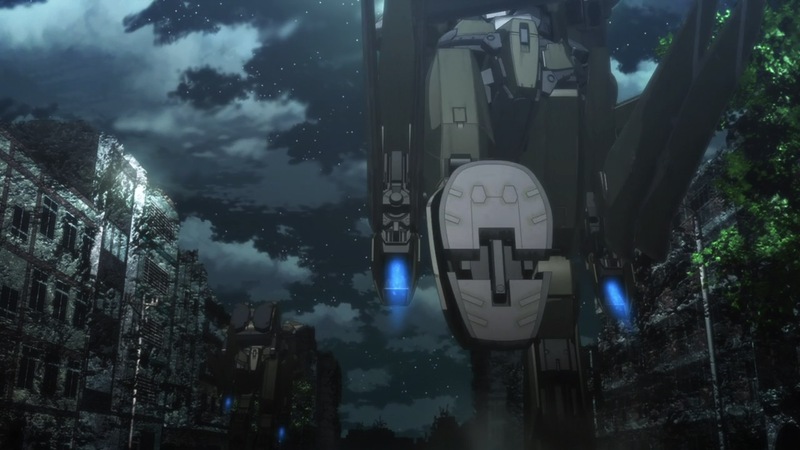 But neither of these goes against anything revealed in the show, and (2) in particular is logical, given that the UFE base in Novostal’sk wasn’t completely destroyed, meaning that people who would have known about and met Asseylum survived that attack. In other words, I see the supplementary material as suggesting and elaborating on details that viewers can — and should, really — infer for themselves. Whether these details should be included in the show itself or not is another debate. I had fun figuring things out and reformulating my thoughts as the show went along, but I do understand the ire of viewers who think that such details should be revealed in the show itself. However, I also get frustrated at the people who don’t realise that their interpretation of events and even a show’s themes is just that: an interpretation. To me, the value-add of supplementary material is related to this ‘problem’ of differing interpretations. It highlights how the things we see in a show are often just our own interpretations, and that different and valid interpretations can be made from the original literary text (be it a show, a manga, a game etc). These extras aren’t necessary for that realisation but I find that most people prefer to think their interpretation is ‘correct’, not realising the assumptions they’ve made do not necessarily hold for the story/character in question. To put it another way, they like to look for evidence that supports their interpretations, and ignore the evidence that goes against it (confirmation bias). Including what’s in supplementary material in the actual show may help more viewers come to the interpretations that the creators intended, but perhaps that involves more ‘telling’, as opposed to ‘showing’ or suggesting, and I’m not particularly fond of ‘telling’. Besides, I really like how viewers can come to different interpretations about the texts they consume, possibly because I like pointing out flaws in arguments and showing how my own arguments are superior (yes, I’m an argumentative person and I proudly admit it (^^;; ). However, I’d like to think that I concede if there’s evidence that completely debunks or strongly weakens my arguments – and I wish more viewers were similarly more open to challenging their own interpretations of a show. To me, this was one of the core differences between the parts of the Japanese and English-speaking fandoms that I interacted with. Whether it was because of different societal contexts, or their access to supplementary materials, or even because AZ was literally the only show they were that invested in (in contrast to here, where the number of shows one follows seems to be a badge of honour), the Japanese fans I encountered on twitter, blogs and even on 2ch would dissect the show in many more ways than was occurring in the English-speaking fandom. They would leave open questions to be considered later down the track, and then come back to them and even to a question they’d ‘closed’ if a later episode revealed information that made them reconsider it. It was like they were really interacting with the show, as opposed to just watching it. I think that seeing all that on twitter during the three month gap was what got me doing something similar as the second season aired. That commitment helped me get a lot more out of AZ than I would have otherwise. Apologies for another TL;DR!! I tend to feel a bit too strongly about some of the ‘common criticisms’, because at least one of those criticisms links in to what I do like about the shows I like: that they really make me think!